Sun-drenched Ibiza has become a byword for beach nightlife. However, underneath this visage exists a vibrant and historic UNESCO World Heritage Site. Situated within the rolling azure waves of the Mediterranean sea, Ibiza boasts a balmy climate and unforgettable cuisine. It’s no wonder that a new generation of travellers are rediscovering the charms of the island. In response, a new legion of hoteliers are catering for the demand. Here are some of our favourites! Discover our favourite hotels in Menorca and Majorca. Sometimes a holiday is all about getting out and exploring. And then there are the times when the hotel is an idyllic base that becomes a destination in its own right. The Casa Munich Hotel is a case in point. Lovingly developed to be a home-from-home, the Casa Munich also boasts an astonishing location. Nestled between pearly beaches, the rolling Salinas salt plains, and the historical heart of the island, the Casa Munich is a hidden gem. Expect peace, tranquillity, crystal-clean pools, and an uninterrupted night’s sleep in crisp, cool linen. In the morning, step out and lose yourself in the beating heart of the island. This is a perfect hotel for anyone looking to explore Ibiza for the first time, or who admires articulate design and understated comfort. Dedicated to ramping the getaway experience up a notch, Ses Piteras is dedicated to relaxation. 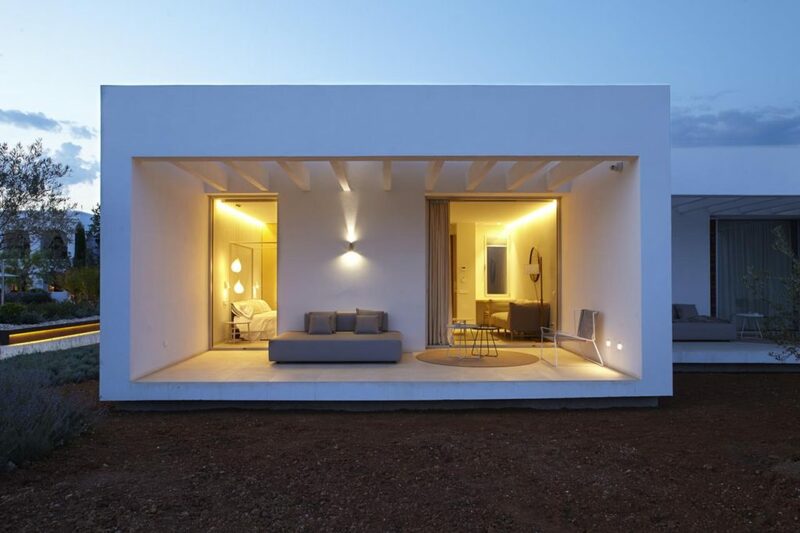 Situated next to a glorious vista of beaches, Ses Piteras embraces minimalist design and twenty-first century chique. 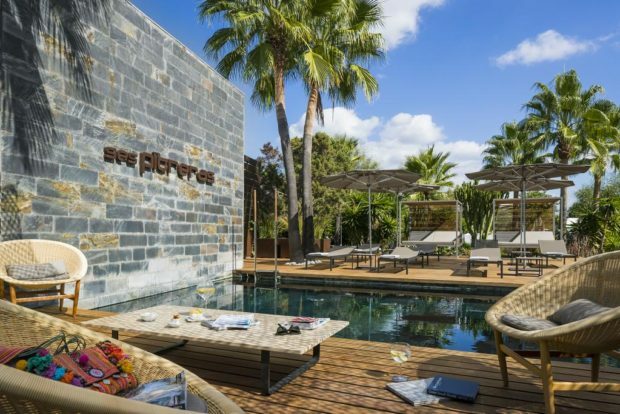 Every detail has been taken care of, from an on-site spa to a rooftop terrace. Ses Piteras counters the long days of sunshine with soothing water, creating the perfect accompaniment to the warmth of Ibiza. The hotel is ideally situated for both relaxing and roaming, and offers a welcoming return after nights of partying. Personal service, exclusivity, and tranquillity. These are just some of the words that describe family-owned Atzaró, which has made a name for itself as a carefully crafted bubble of peace and tranquillity on an island known for adventure. 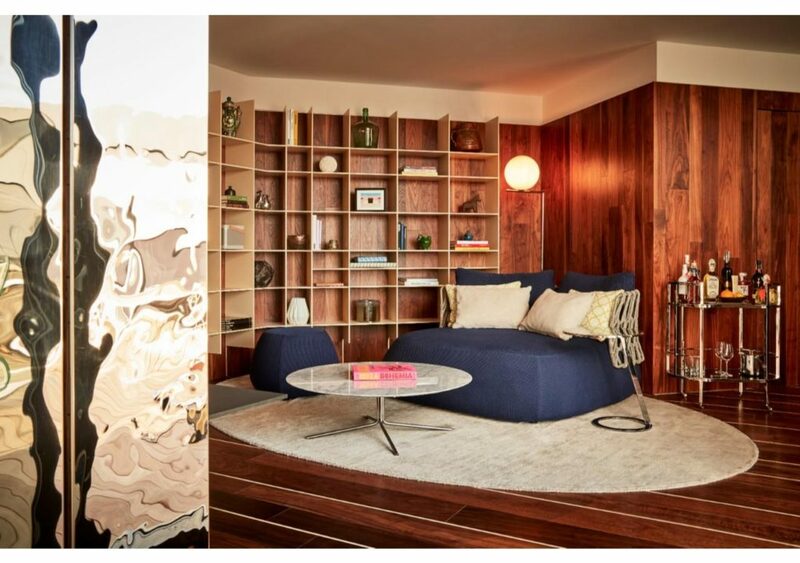 Atzaró brings together authentic design with modern comfort, offering a gentle oasis filled with private hideaways. Known for its stunning pools and lily ponds, Atzaró is a firm favourite amongst those who want a secluded retreat. Situated slightly away from the party avenues, Atzaró is perfectly primed for those wanting to explore the countryside. 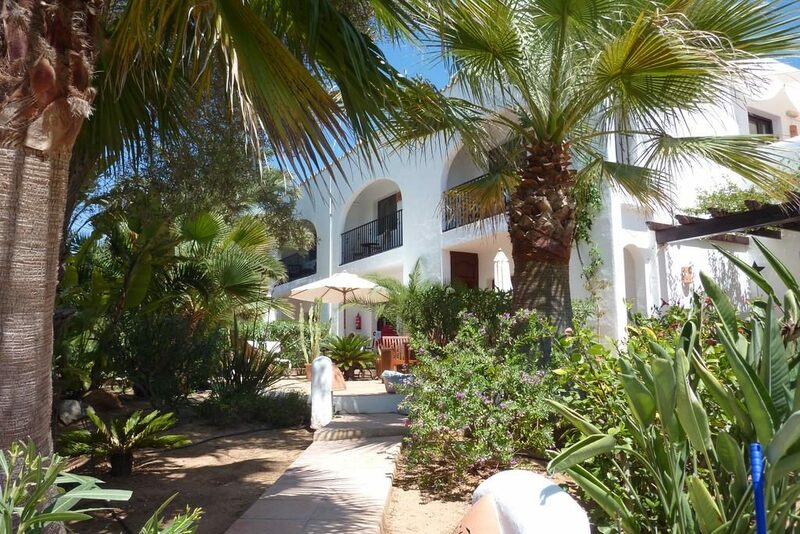 Encapsulating the image of Baleriac bliss, Ca Na Xica is a vision of secluded loveliness. Drawing its inspiration from the heart of historic Ibiza, Ca Na Xica is set apart from the bustle of Ibizan nightlife in the sanctuary of the countryside. Ca Na Xica has a tick for every box, meaning that the hotel provides a one-stop retreat for those who want to do nothing more than relax. A particular architectural theme of the hotel is to blend the indoors with nature, which is achieved by open glass panels and quiet enclaves, allowing the natural sounds and scents to flood the lightly enclosed spaces. 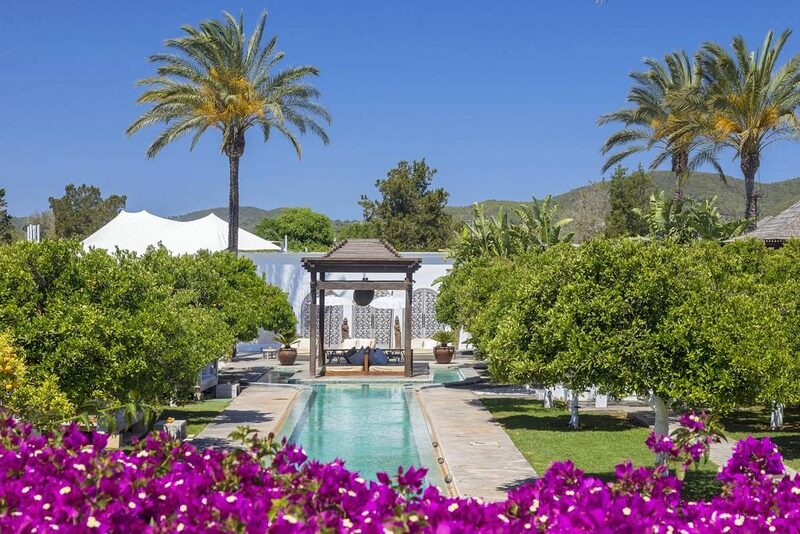 Some people come to Ibiza for a calm, tranquil retreat. Others come to lose themselves in the bars and clubs. Sir Joan Ibiza boldly ignores both of those agendas, and sets itself apart as a stylish, sophisticated, corporately minded vibe. Steeped in cutting-edge design that shamelessly basks in the limelight of its creative clientele, Sir Joan is all about embracing millennial chique. Sir Joan prides itself upon making every stay a comfortable one, so expect friendliness dipped in haute couture. 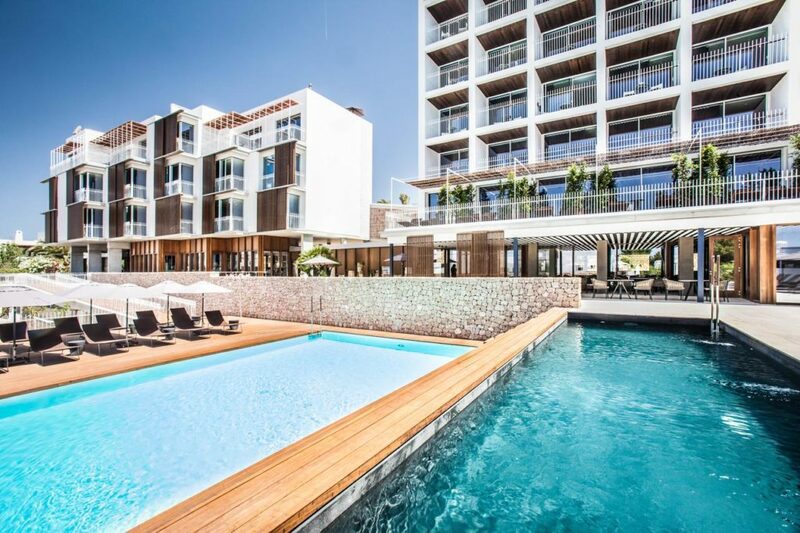 Looking like it has stepped out of a 1970s postcard, OD Talamanca is an unlikely winner in the Ibiza hotel fashion stakes. However, this stalwart has earned itself legions of devoted fans. This is because OD Talamanca has experience on its side, and decades of catering for Ibizan fans have ensured this hotel a badge of honour in terms of customer service and practicality. Situated a little further out of town, OD Talamanca has an unusually large amount of space, meaning that it is able to offer rarities such as parking. Expect round-the-clock facilities that will fit even the most eccentric of schedules. Cas Gasi has one thing in mind: romance. Isolated, and deliciously remote, Cas Gasi is a traditional home-from-home nestled in the heart of the countryside. Family owned, Cas Gasi is a little like slipping back home for a quiet weekend away from the bustle of the real world. As such, every consideration is taken care of, from private libraries to electric bike hire. Food is organic, and prepared by a local chef. Expect to become acquainted with the two soppy dogs who lounge around, soaking up the afternoon heat, and relax in peace away from the children, who are catered for with their own pool and play area. More expensive than most, Cas Gasi offers authentic hospitality and a true taste of Mediterranean bliss.